Dr Yea Lee Shu graduated with Bachelor of Dental Surgery in 2009 from The University of Adelaide. 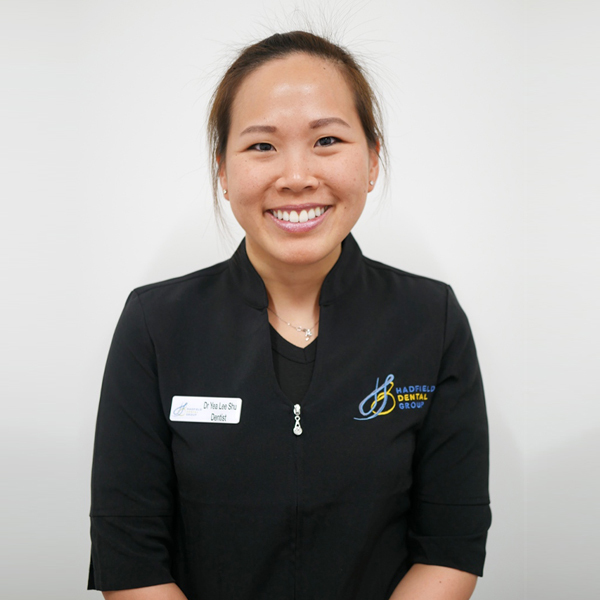 She then worked in a private practice in country Victoria for 8 years before joining Hadfield Dental Group in 2018. Dr Shu enjoys all aspects of dentistry especially aesthetic dentistry. She finds great satisfaction both in helping patients achieve the smile they have always wanted, as well as helping nervous patients overcome their fear. When not working, Dr Shu enjoys travelling, movies and books. She also enjoys outdoor activities such as hiking and bush walking.